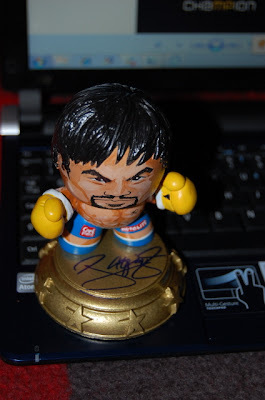 Likhang.Pinoy.Customs: Manny Pacquiao signing LPC Pacman mini-mugg! Manny Pacquiao signing LPC Pacman mini-mugg! A friend of mine, Sonny, showing his Pacquiao mini-muggs made by me.. hehe and yup! That's the Pound for Pound King in front of him. 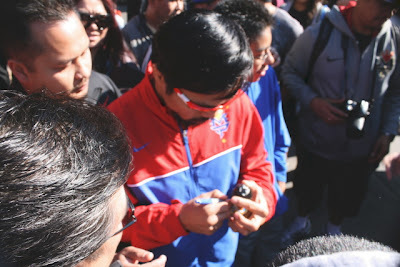 Manny Pacquiao signing the mini-pacman!! Danica Patrick signing LPC Danica Mighty Mugg!